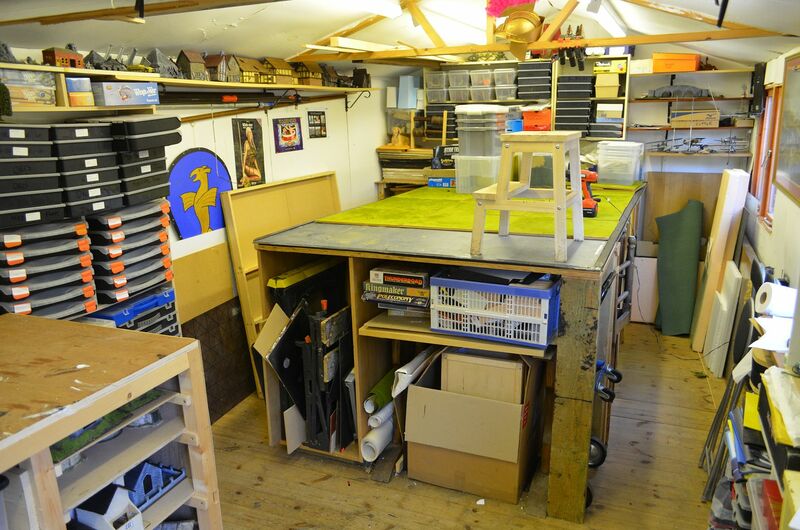 Over the last couple of months I have had the mind to sort out, clear out and refurb my man cave - the shed. At first I thought I might build an extension in the space where the kids trampoline used to sit but I am still negotiating this with Mrs Shed ! 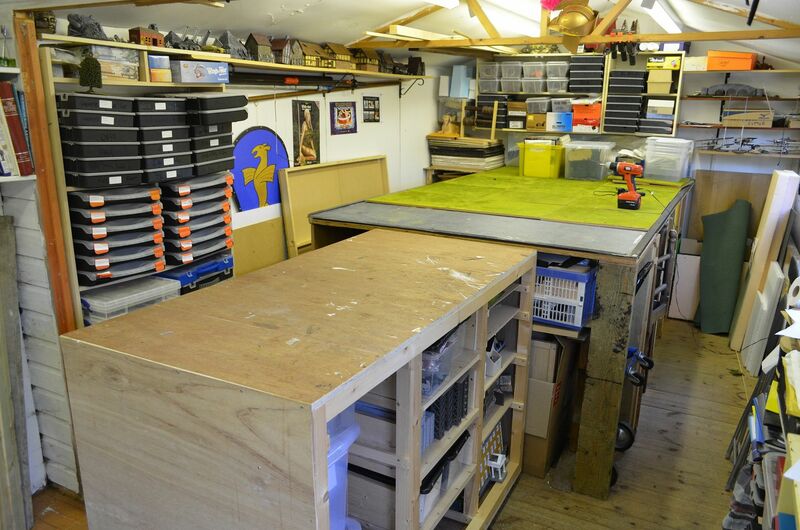 The current table is 3m (10ft) x 1.5m (5ft) - a good size but sometimes you need something bigger ! 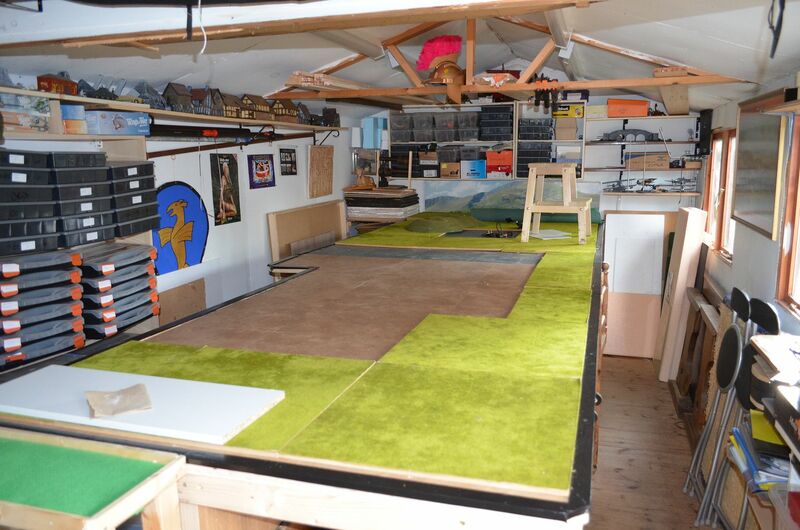 In the picture below you can see my mobile worktop - rolls around on casters. 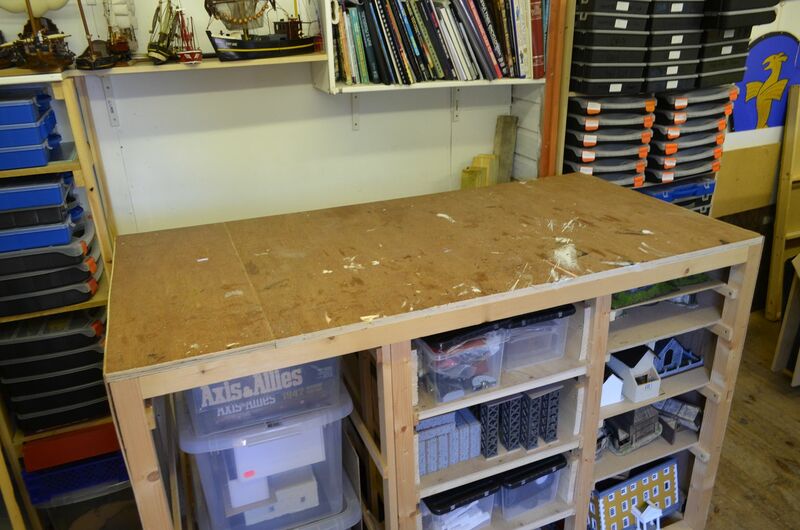 This I can push up against the existing table and extend by a further 1.5 metres with a board laid on top. But quite frankly there is a great deal of dead space not used. This includes the wall that it the rolling table is pushed against when not used. So out came the tools and a trip to the Wood merchants. 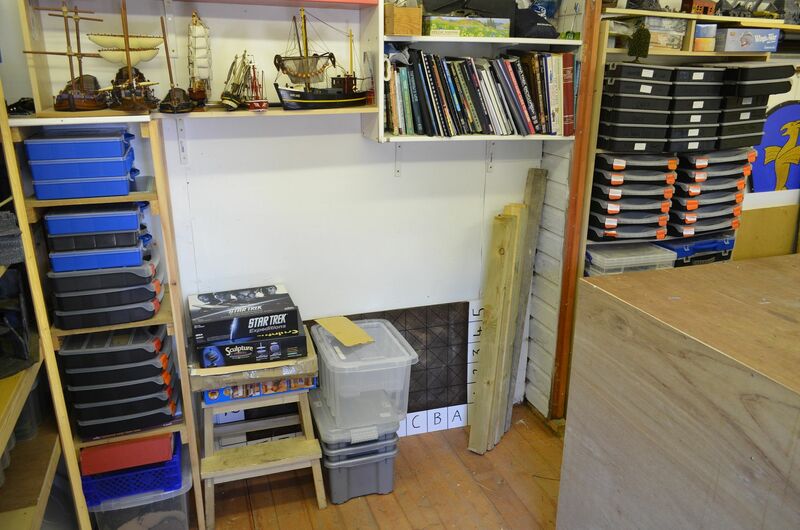 New racking now houses many of my 28mm buildings and boats. The rest of the table starts to get built. 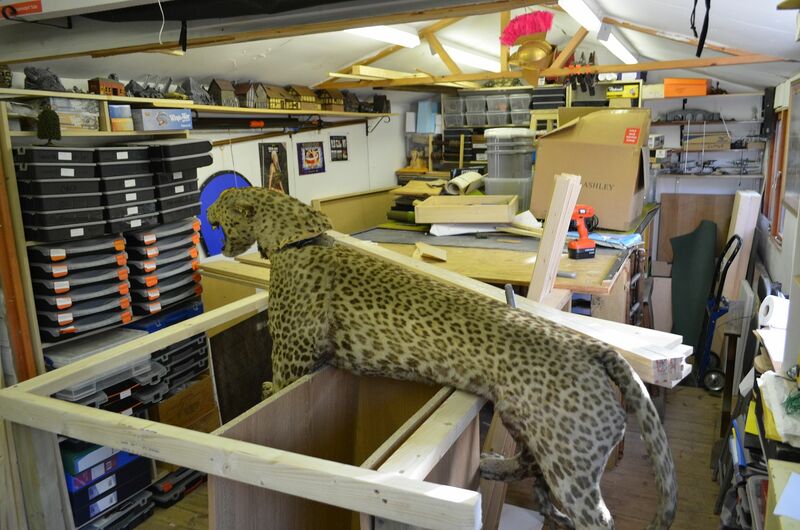 Using my stuffed Leopard as a clamp to hold the new frame together. 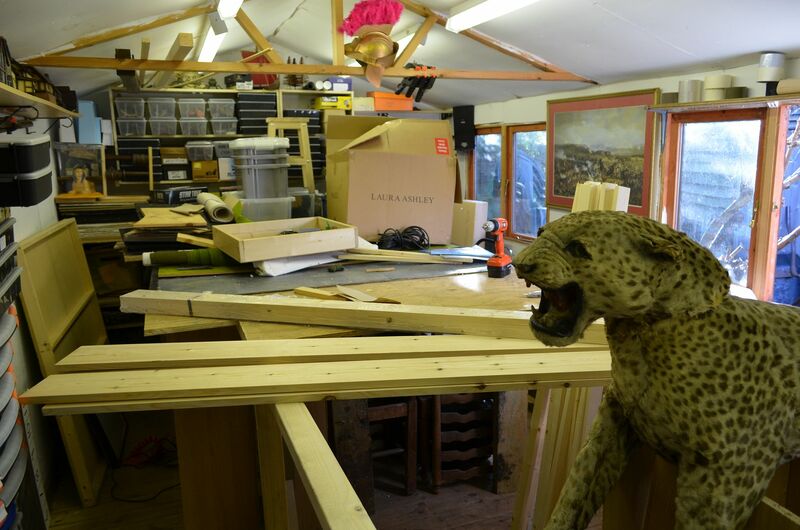 If you want to see why a stuffed Leopard is in my shed look at earlier post. And the final build - a new table that is now 15ft long ! 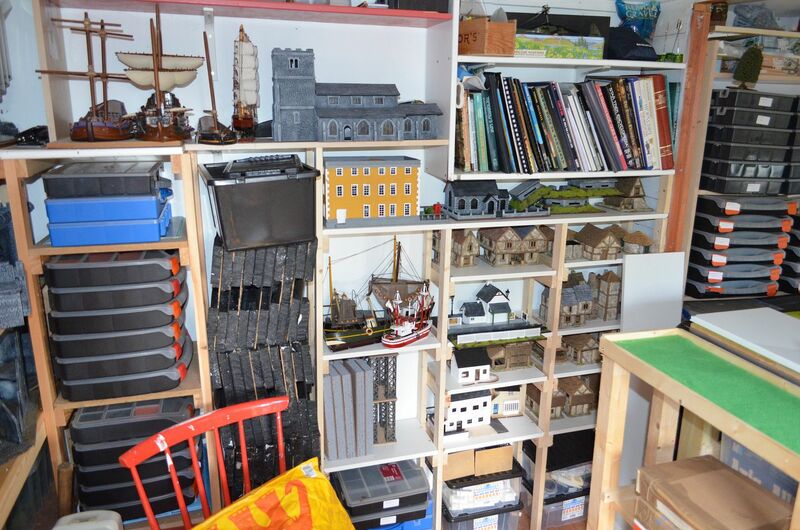 All one level and loads of new storage underneath. I need to secure some more mdf tiles and flocked paper for the base boards but otherwise all done. And I thought it couldn't get any better! Wow, that is a proper gaming board! I'm expecting some amazing photos of massive games on that. I'm very jealous. 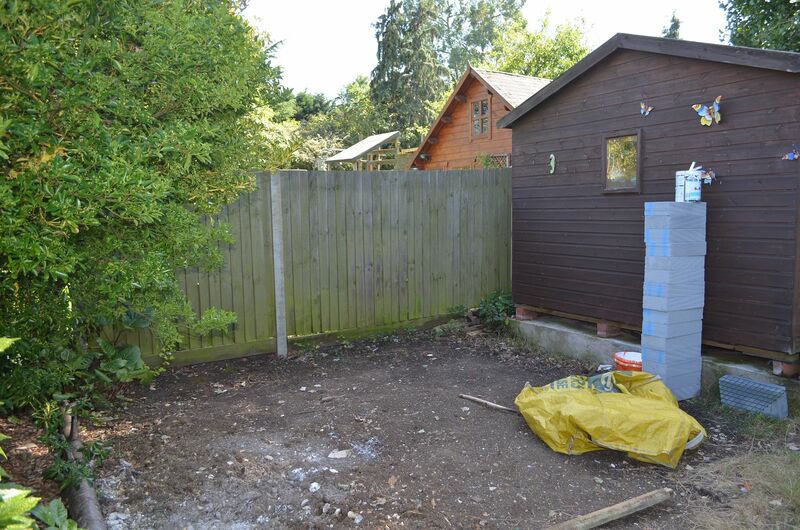 Blimey, that's a proper Man Shed! Awesome ... more space for gaming!! Bigger table enables bigger scale! You could do some limited 1/32 on that! Wish I had a 15 x 10 table for my AWI collection! The table is awesome! I also find myself jealous of your new shelves.